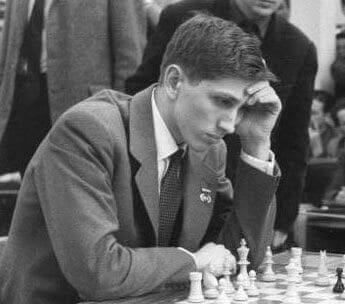 Robert James “Bobby” Fischer (March 9, 1943 – January 17, 2008) was an American chess grandmaster and the 11th World Chess Champion. He is considered by many to be the greatest chess player of all time. A chess prodigy, at age 13 Fischer won a “brilliancy” that became known as The Game of the Century. Starting at age 14, he played in eight United States Championships, winning each by at least a point.